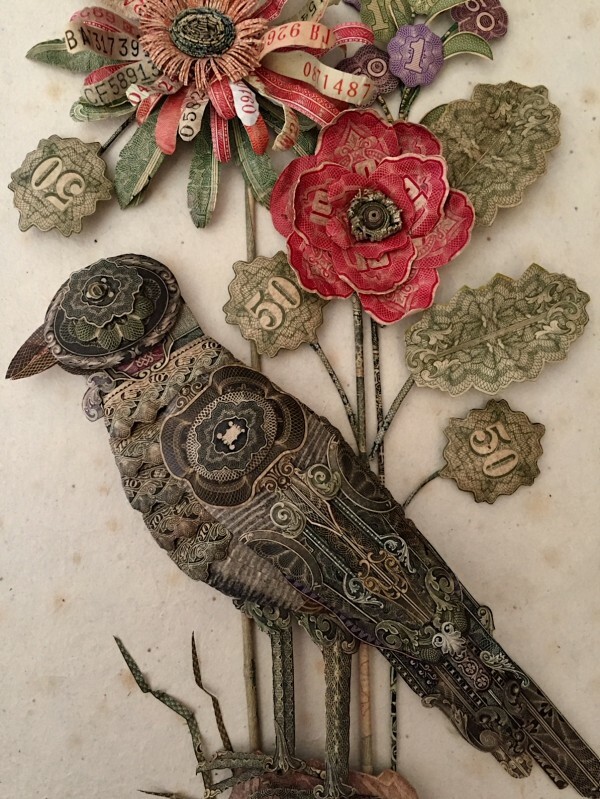 Paper sculpture and artworks : Patty Gazini is a talented artist/sculptor(paper art) from Seattle. 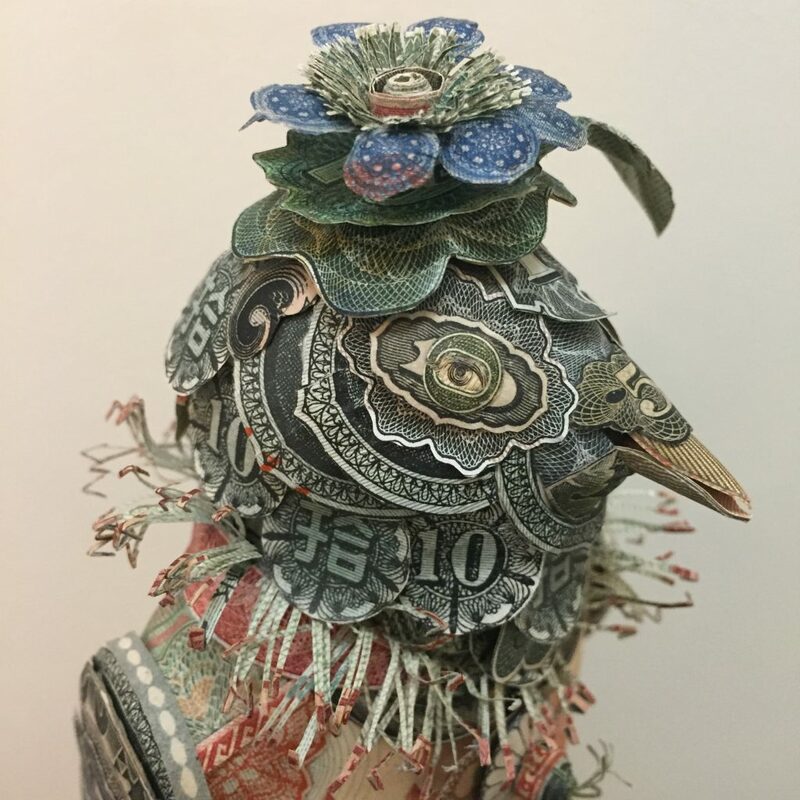 She has exhibited many series of paper sculptures using different kinds of materials. 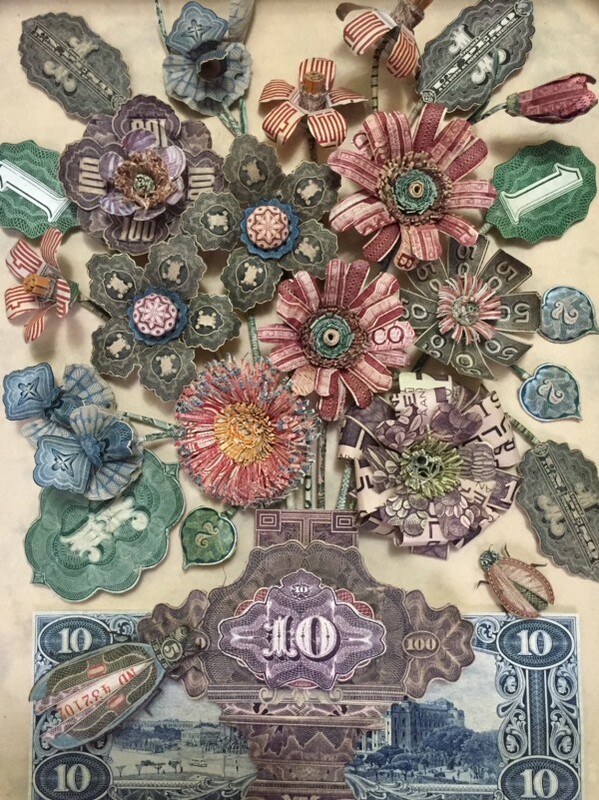 Her latest paper sculpture was using money from different parts of country. 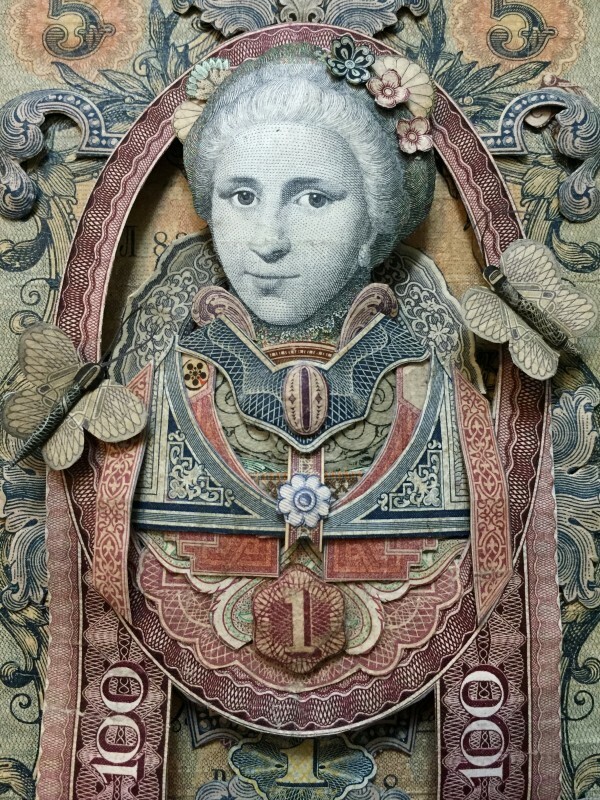 The paper money is in different colors and they were either borrowed or gifted for her paper sculptures. 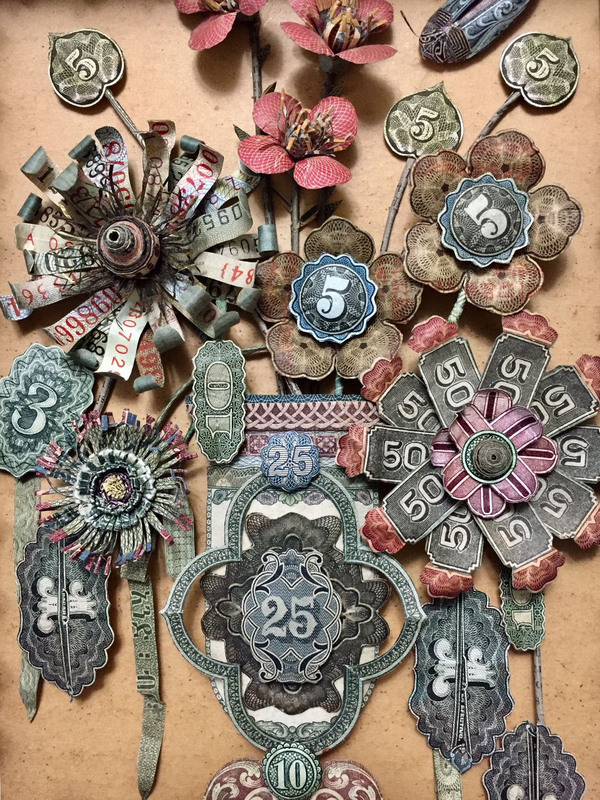 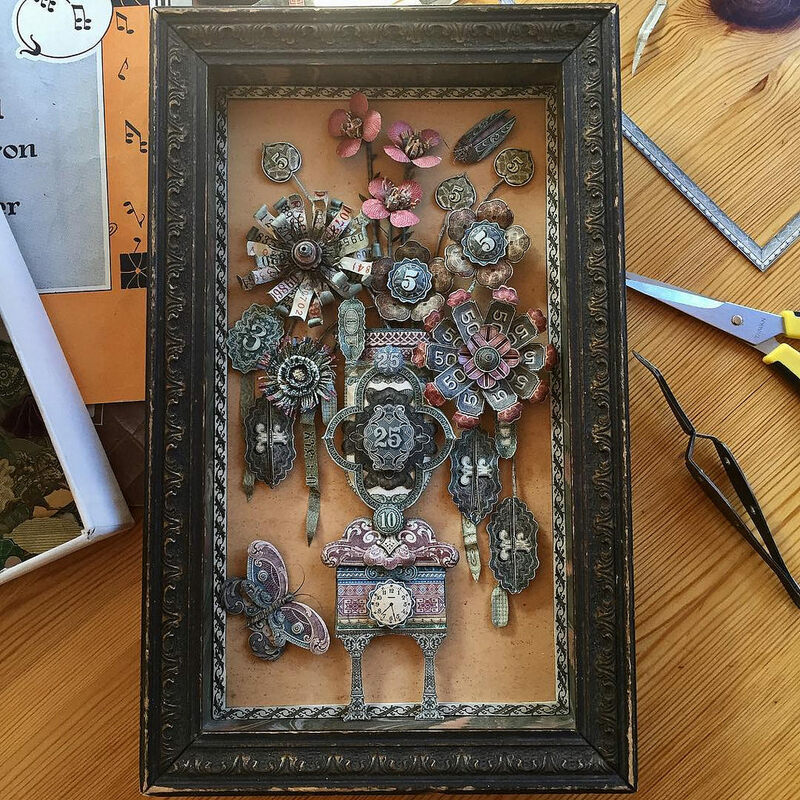 Her money paper art is quite popular among her collectors and in the social media circles. 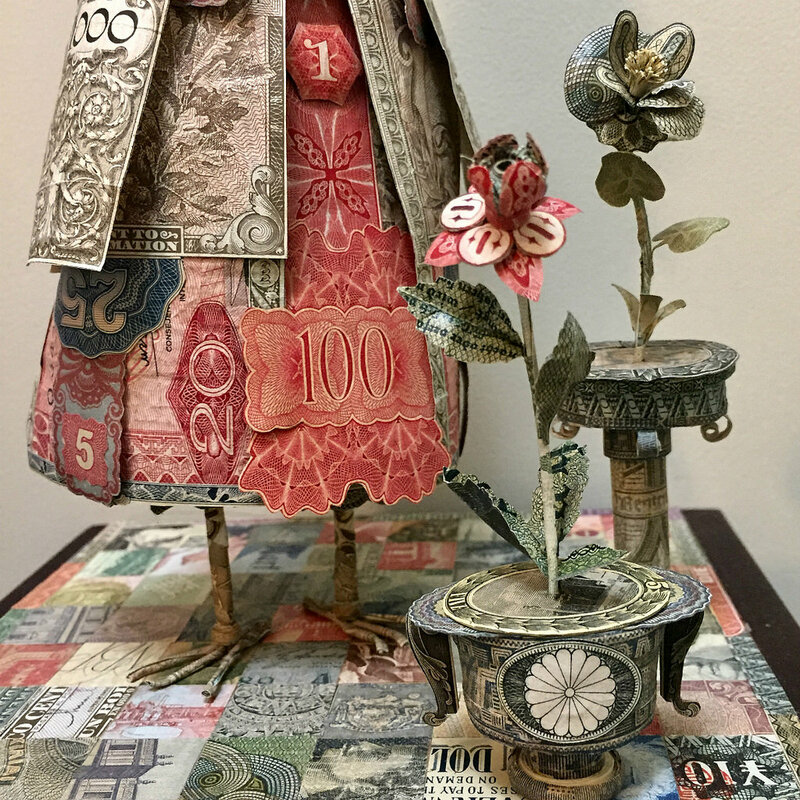 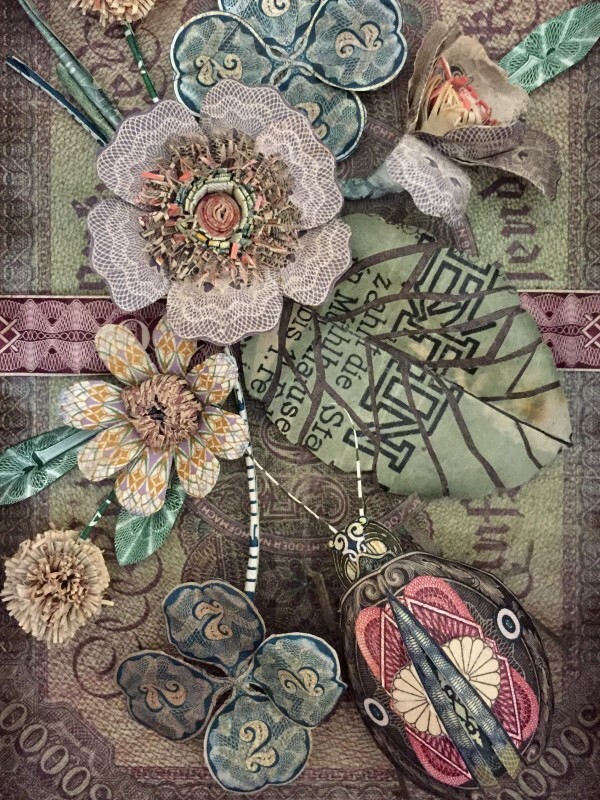 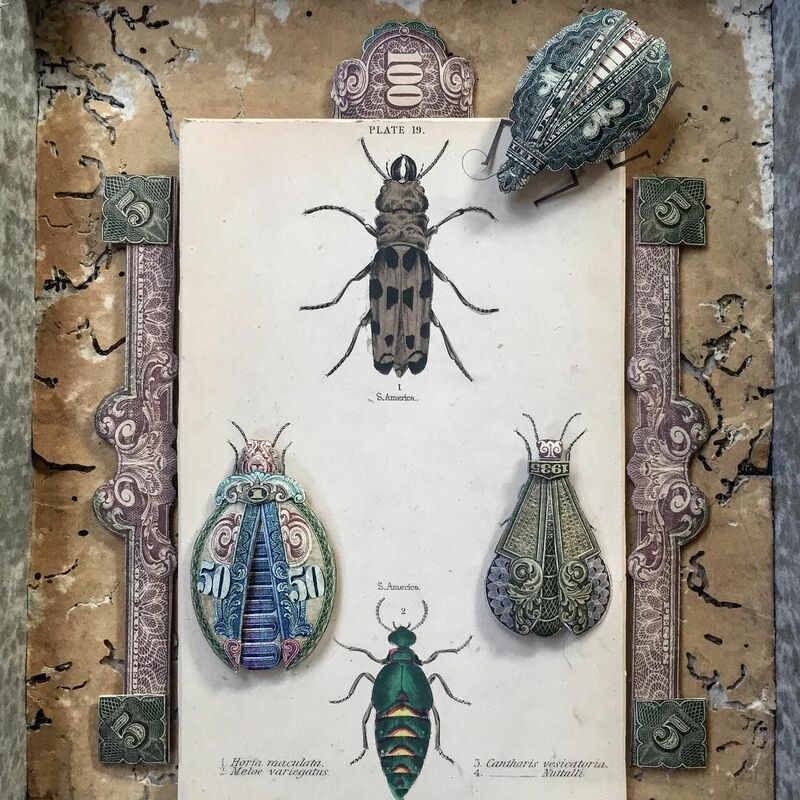 Patty Gazini's paper artwork is on exhibition till June 2nd 2019 at Bainbridge Island Museum of Art, Seattle. 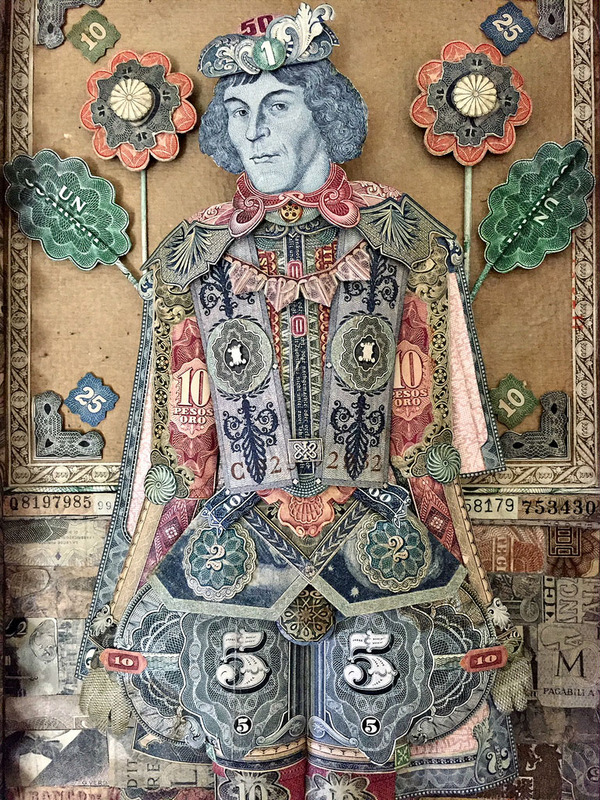 The largest paper sculpture by Grazini is "Elizabeth Lyska" and it's on permanent exhibition display at Bainbridge Island Museum of Art, Seattle. 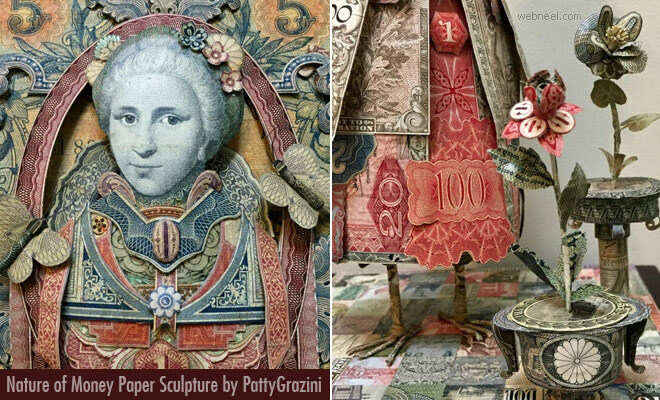 Tell us your favourite paper sculpture by Patty Grazini in the comments sections.